I realize that my title doesn’t initially make sense, but it will in a minute. Not too long ago I paid a trip to Svalbard. 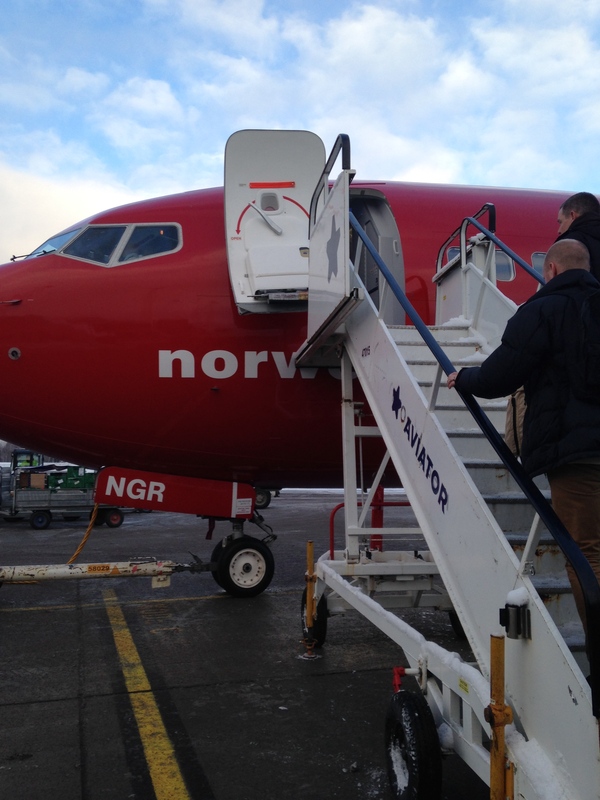 Unfortunately the only way for me to get there from Trondheim was to go through either Oslo or Tromsø. It ended up being cheaper and more convenient for me to go via Oslo, so I did in fact go South in order to go North. Svalbard has been a place that has captured my imagination since I was a child, specifically since I read The Golden Compass. 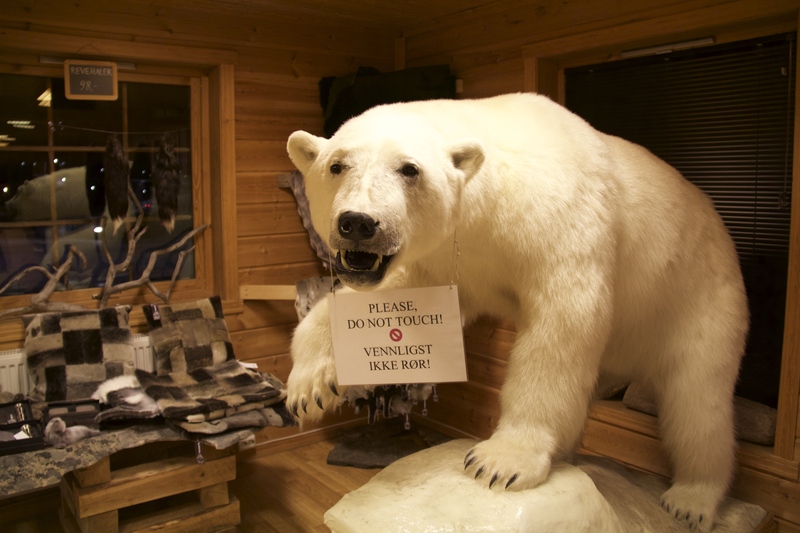 In fact, both Svalbard and The Golden Compass were featured in my Fulbright essay, so I was really excited to finally get the chance to go there. Sidenote: if you haven’t read The Golden Compass you should and if you have no idea where Svalbard is check out the Map section of my blog. 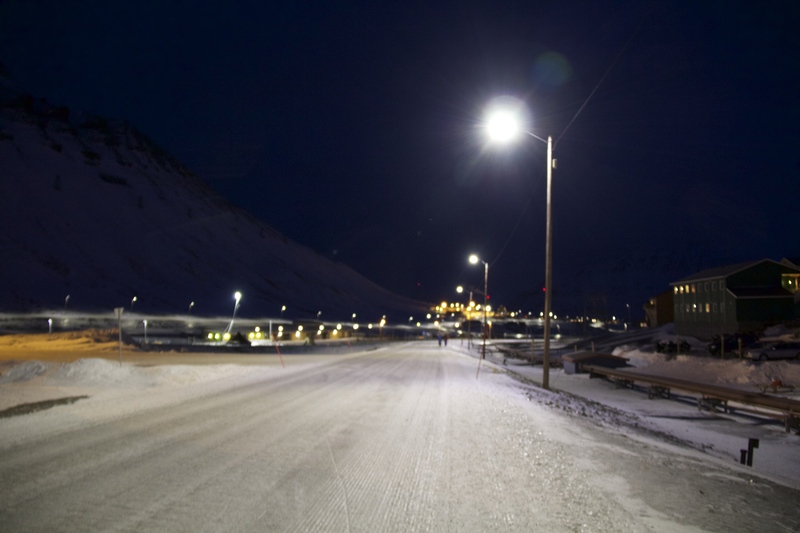 It’s the northernmost pin and Longyearbyen is actually the world’s northernmost settlement. 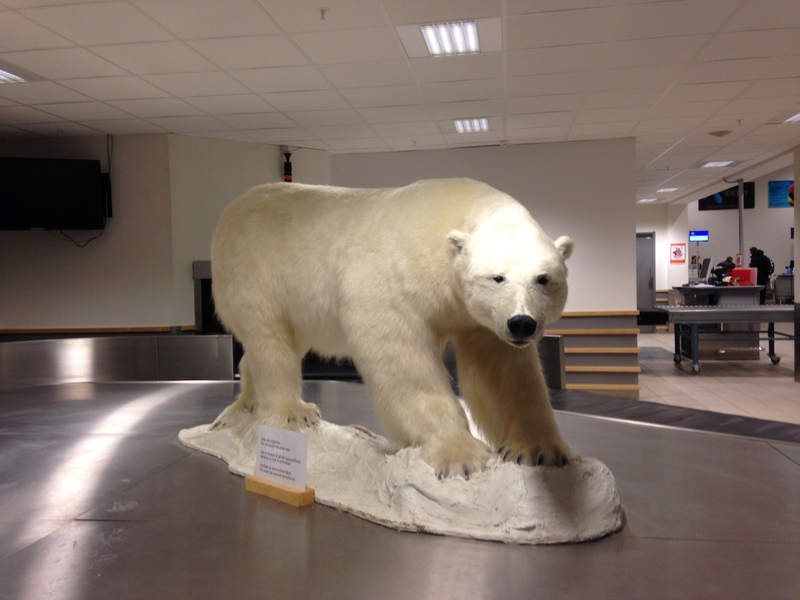 While organizing my flights to Svalbard was a bit of hassle since they only fly on certain days, it was pretty exciting to go, and I wasn’t the only one who was thrilled. I’ve never seen people so excited to travel. Everyone on my plane was upbeat (or intoxicated), constantly taking pictures, and pressed against the windows of the plane. I never really recognized how toxic the atmosphere can be around airports until I boarded my flight to Longyearbyen and experienced such a drastically different environment. I have to say it was quite a nice change to have everyone so happy. 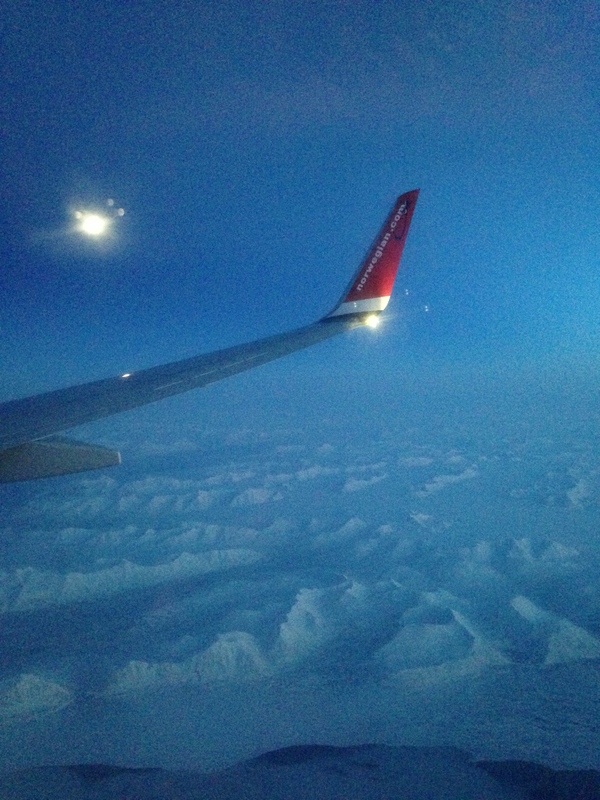 But before I talk a bit more about my flight into Longyearbyen, I need to talk about my flight into Oslo. Why you might ask? Well it’s because I had a medical emergency happen on my flight. Not just on my flight, but to the person sitting next to me. Now for those of you who don’t know me you should know that I could never be a doctor. Not only did I hate most of the subjects that you need for medical school (mainly chemistry and physics) I’m also just a bad person to have in a medical emergency. Bodily fluids gross me out, I struggle to even watch doctor shows, and I tend to lose all common sense in medical situations. The thing I am most famous for is when my best friend fainted and when coming to I asked her what she thought the best course of action would be. So my number is clearly not the one you call when you have a medical emergency. That being said, life loves to have its little ironies so I was hardly surprised that this medical emergency happened right next to me. Now the second thing you should know is that I can sleep through almost anything. Something I happen to specialize in is sleeping on planes. I have mastered the art of falling asleep before takeoff so it was only when I heard a lot of panicked sounds that I woke up from my nap against the window. Looking around I spotted a few alarmed flight attendants shaking the woman next to me and seeing her look pale and nauseous with the vomit bag clutched to her face. This rapidly escalated as she seems to go in and out of consciousness. An oxygen tank was retrieved, and at this point the man in the aisle seat was relocated and I was asked to move. Unfortunately, that wasn’t possible due to the hunched position that this woman had taken. So medically incompetent me stayed squashed between the window and the medical emergency. The first problem occurred when they either couldn’t managed to open the oxygen tank valve or the tank just failed to work. A second tank was retrieved and this time the oxygen mask was successfully applied to the woman’s face. This seemed to help incrementally, but after a while the woman continued to drift in and out of consciousness. The flight attendants indicated to me that we should get her horizontal. Now thanks to my fainting best friend, I’ve learned not to be wholly incompetent when people faint. So my first course, and really the only course, of action that I could take was to help move this woman so she was lying down and prop her legs up to increase blood flow to the head. Luckily by the time we finished doing this the plane was preparing to land. All in all, our landing scene had a man across the aisle holding an oxygen tank, a flight attendant in the aisle seat holding the woman’s head in her lap and placing the oxygen mask on her face, the woman having the medical emergency, and me attempting to prop this woman’s legs up. Once the plane landed the flight attendants instructed us to all remain seated and a medical team was quickly ushered on board. Of course knowing no Norwegian and having slept through the beginning of this escapade, I was completely useless when it came to giving the medical team any sort of helpful information. The woman seemed to recover once we landed and she was able to walk off the plane on her own. The unfortunate realizations that I had after this episode included: flight staff don’t seem to have much medical training, there isn’t really too much you can do to help a person on a flight, and that I’m lucky that most domestic flights in Norway aren’t more than three hours. Lucky for this woman, I think the closest airport we could have landed in was Oslo, our actual destination. Oddly enough no one asked if there was a doctor on board the plane, but then again that could have happened while I was blissfully sleeping. 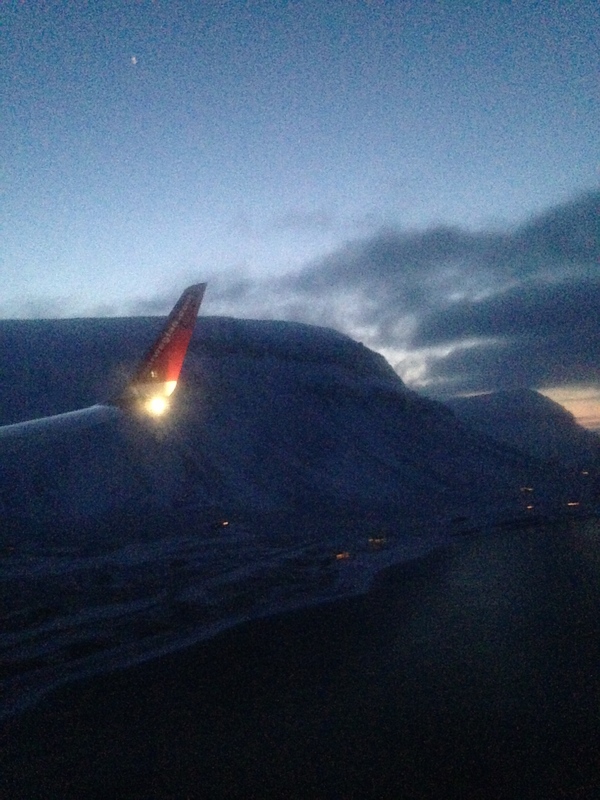 But back to Svalbard! 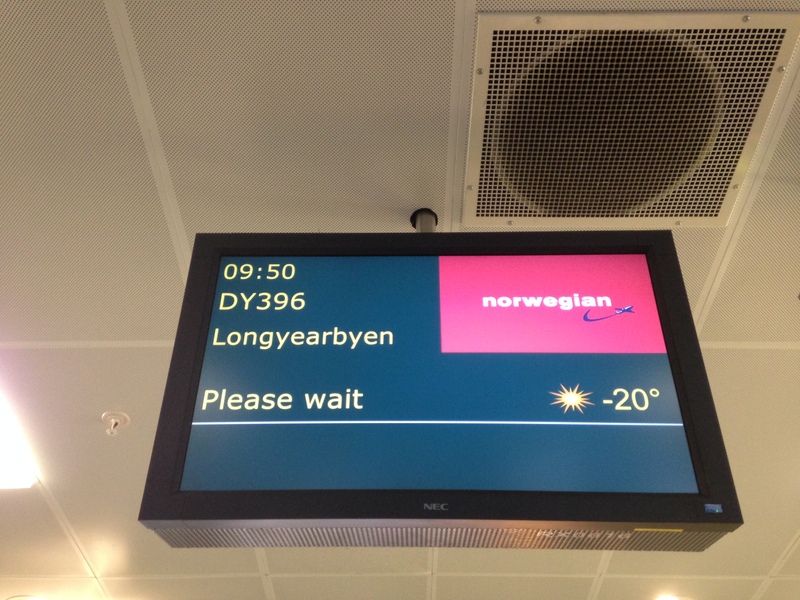 It was with a certain amount of relief that I left my Trondheim to Oslo flight and prepared to board my flight to Longyearbyen. As I mentioned earlier, there was also a significant change in attitude on the flight. I again slept on this flight, albeit I slept more peacefully. But I didn’t sleep the entire time and I was amazed when I woke up and saw beautiful snowy peaks underneath the plane. 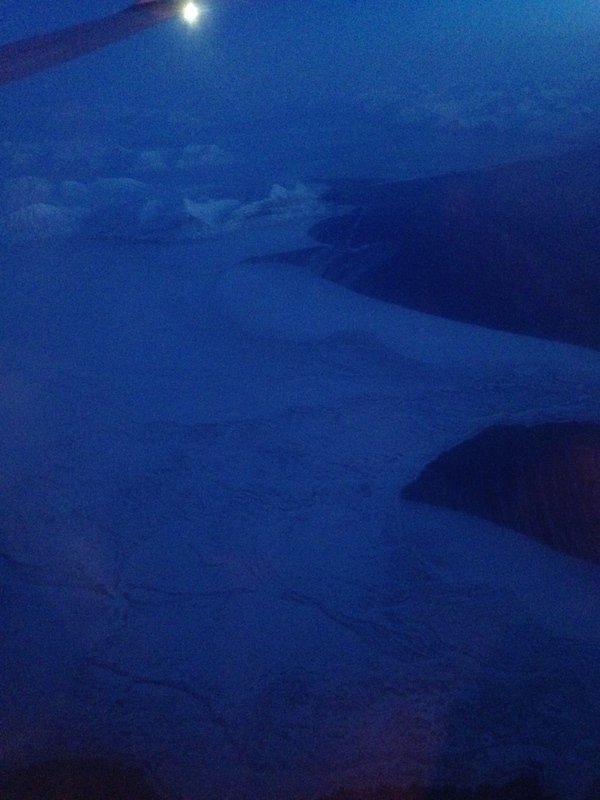 Flying into Svalbard was just incredible. Unfortunately my iPhone couldn’t quite do justice to the view. But flying in was simply breathtaking and we landed between these gorgeous mountains. On the other hand walking outside was a bit of a shock. Some weather screenshots below for your benefit. 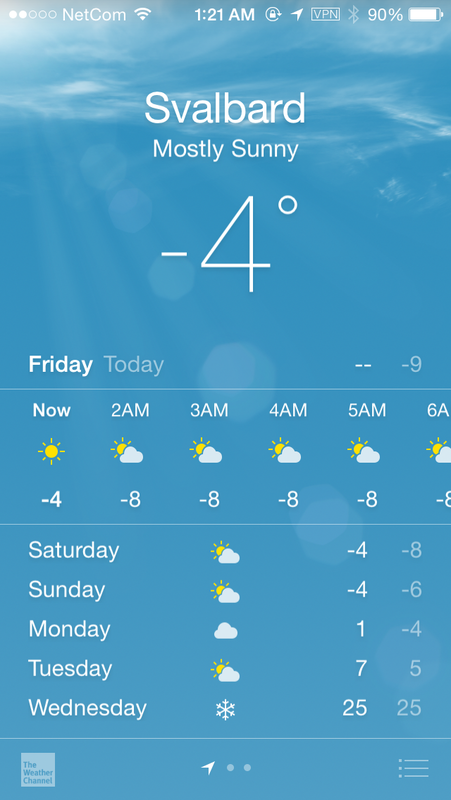 The picture on the right is in Fahrenheit while the first two are in Celsius. 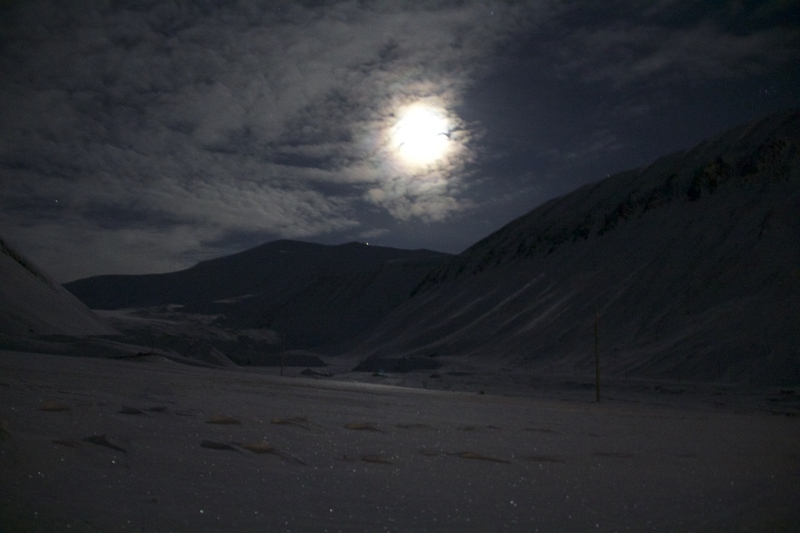 I find the middle picture the most fascinating since you can see that there isn’t sunrise or sunset (both listed at 12 am) and that’s because the sun has yet to come back to Svalbard. When I visited they had just reached civil twilight, which means that the sun is below 6 degrees of the horizon. 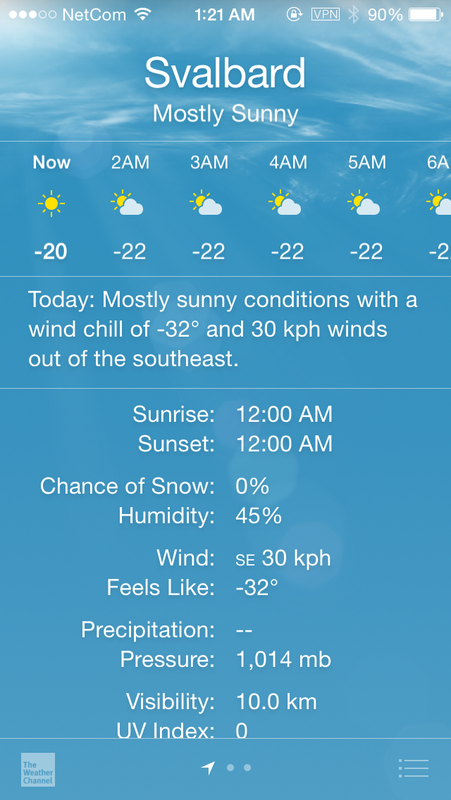 Other things to note are the wind chill and effective temperature (-32°C/ -25.6°F) as well as the nonexistent UV Index. 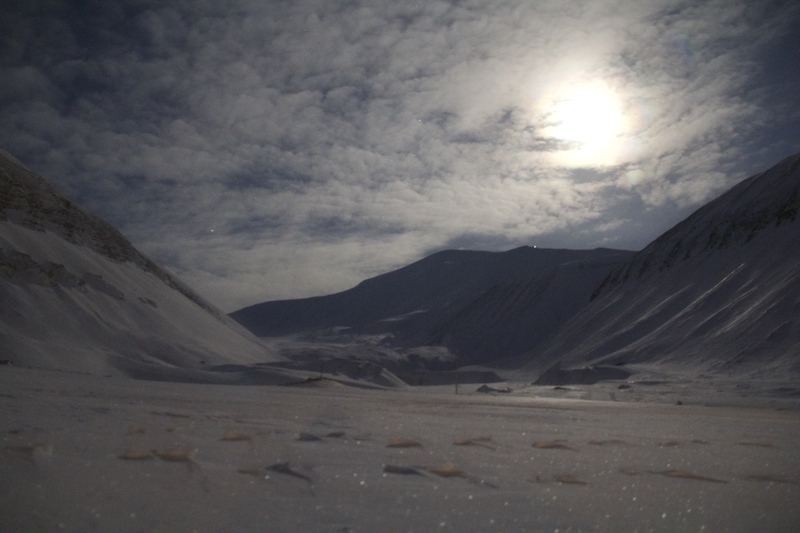 Longyearbyen is located in an arctic desert so the weather is very dry and pretty extreme. The town is situated in a valley which means that the mountains help create a huge wind tunnel. To make matters worse, the island is situated in a windy area. That’s not to say that this is all bad. Svalbard gets cold winds but it also gets the warm Gulf Stream, which is why you can see such extreme differences in the temperature (based on the pictures above you can see the jump from -23°C to -6°C in the same week). Sarah, a fellow Fulbrighter and my host, later told me that frostbite is an everyday concern. Apparently when classes go on trips you are assigned a buddy that you check on regularly to monitor any frostbite that they might be developing. You can tell if you are getting frostbite if white patches develop on your skin. There are also degrees of frostbite, similar to how there are different degrees of burn (first, second, and third), and these white patches are a good indicator that you are developing a low level of frostbite. One of the big dangers is that in such cold conditions it can be hard to tell if what you’re experiencing is frostbite or simply the cold. And yes I’ve never warn so many warm winter layers in my life. Ski pants became my new favorite article of clothing. But back to my trip. Because there are a limited number of flights going in and out of Svalbard, the airport bus waited until we were all on board before setting off. Due to Longyearbyen’s size (population roughly 2,000), there aren’t that many stops for the bus to make, and it didn’t take me too long to reach Sarah’s place. Although I had to get up early to catch my flights, my series of plane naps meant that I was happy to go explore town as soon as I dropped my things off. So we set off to explore the settlement. 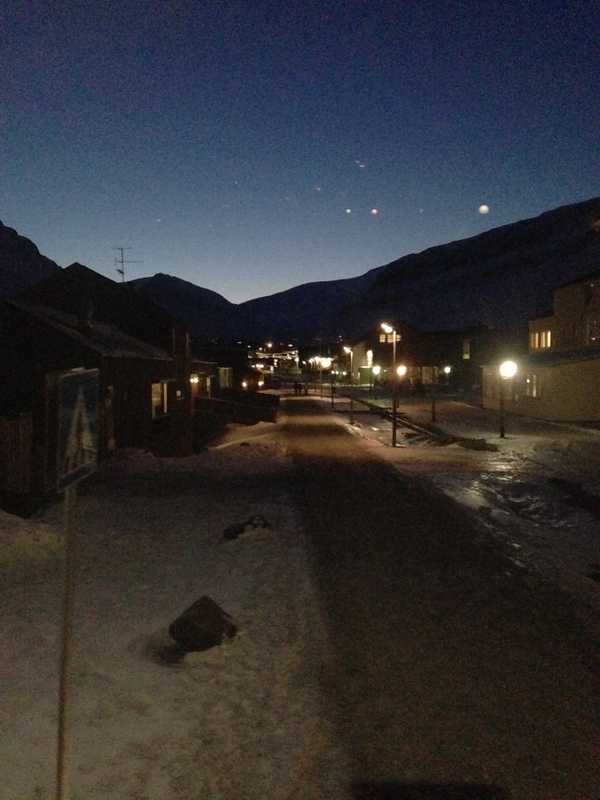 The funny thing with Svalbard is that it truly does look like a settlement. It’s more or less a one street place, and none of the buildings look that permanent. In fact, the student housing is called barracks, which just seems to reinforce the idea that nobody stays in Svalbard for very long. According to Sarah, the average length of time that people stay is five years, though we’re assuming that students are not counted in this figure. 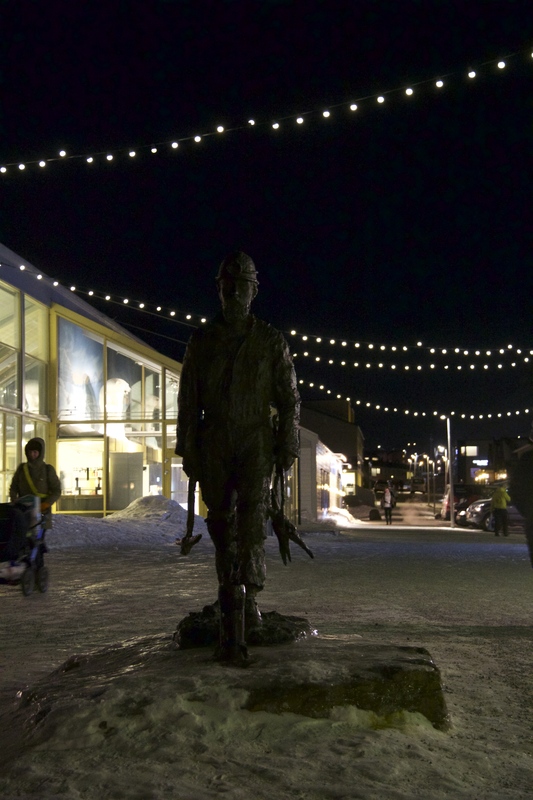 Most people who are in Longyearbyen are there for the university, coal mines, or tourism. 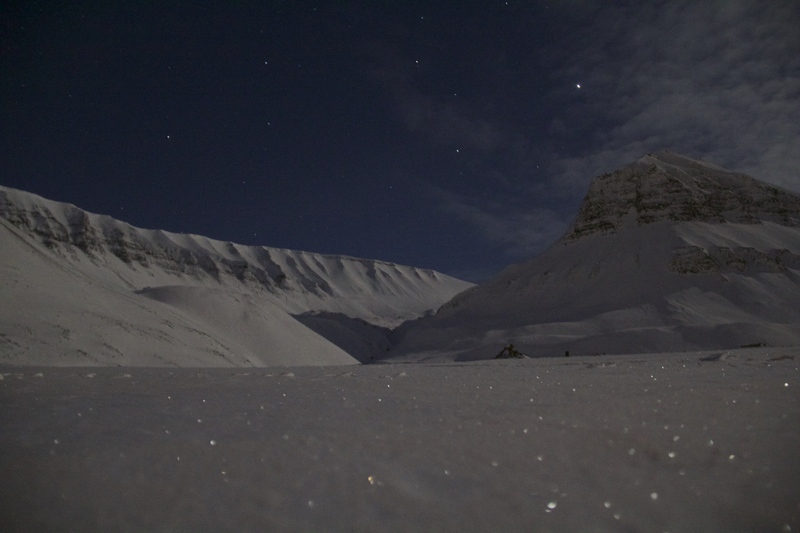 Nobody really stays and develops a legacy or family on Svalbard. You actually are not allowed to give birth on Svalbard or die there. 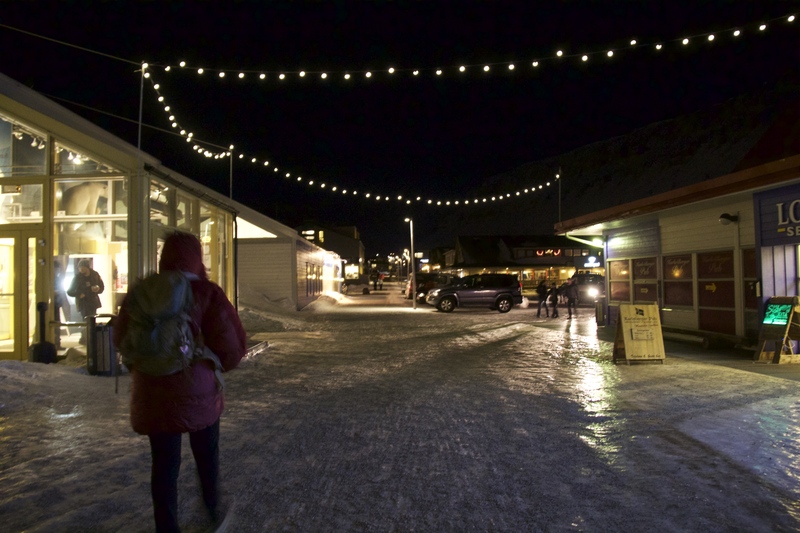 Additionally, because most people who come to Longyearbyen are in their 20s and 30s and there on a short term contract, they tend to have young kids but leave before the children are fully grown. This means that there are 3 kindergartens on Svalbard but only two children in upper secondary school/high school. There is only one grocery store in town and it’s pretty much a one stop shop for most of your basic needs. 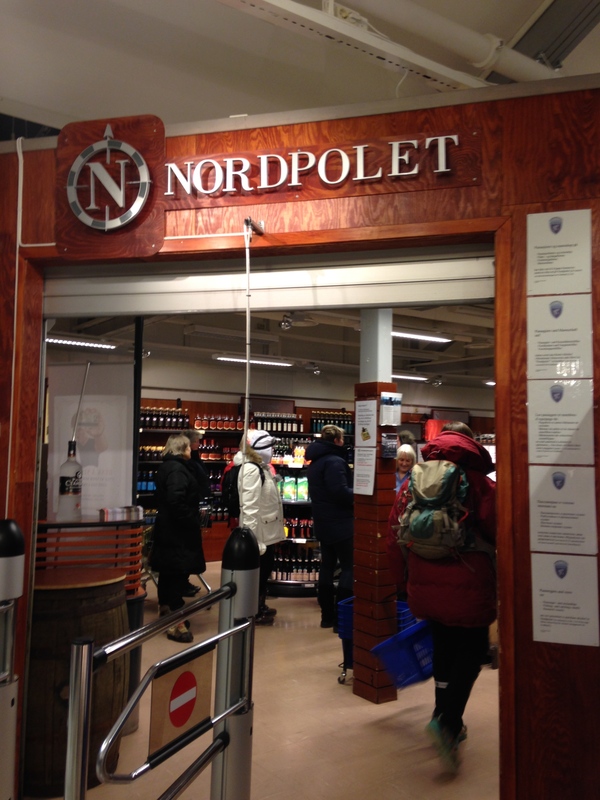 While the price of food is quite expensive, even by Norwegian standards, pretty much everything on Svalbard is tax free…which means that the alcohol is very cheap compared to mainland Norway. 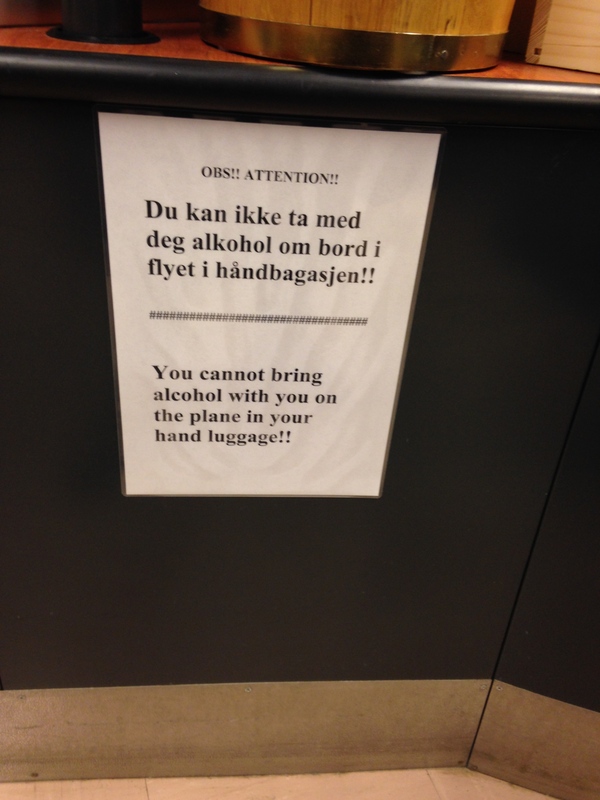 The store does make an effort to remind you that you cannot stash alcohol in your carryon bag for the trip back home. 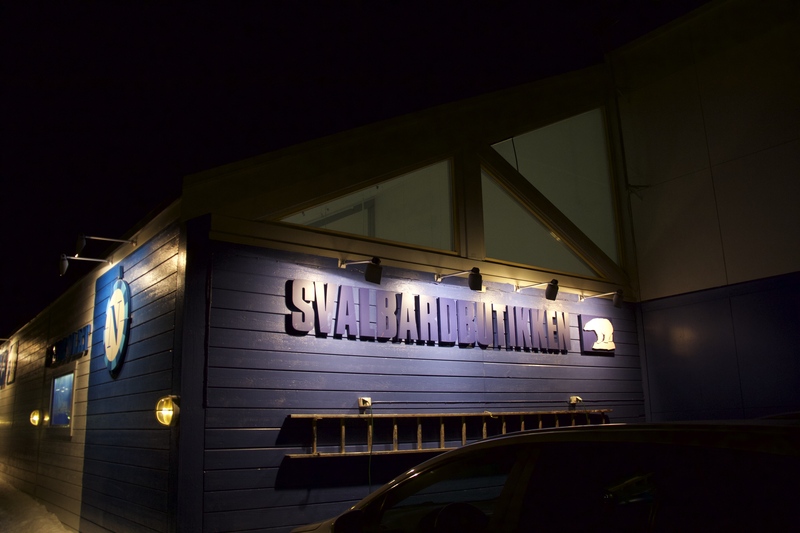 One thing that does make Svalbard and their alcohol store unique is that the island has alcohol quotas if you are a legal resident. I’ve been told that the quotas are quite generous (2 liters of liquor and 24 cans of beer per month) and it only counts beer and alcohol bought in the store. 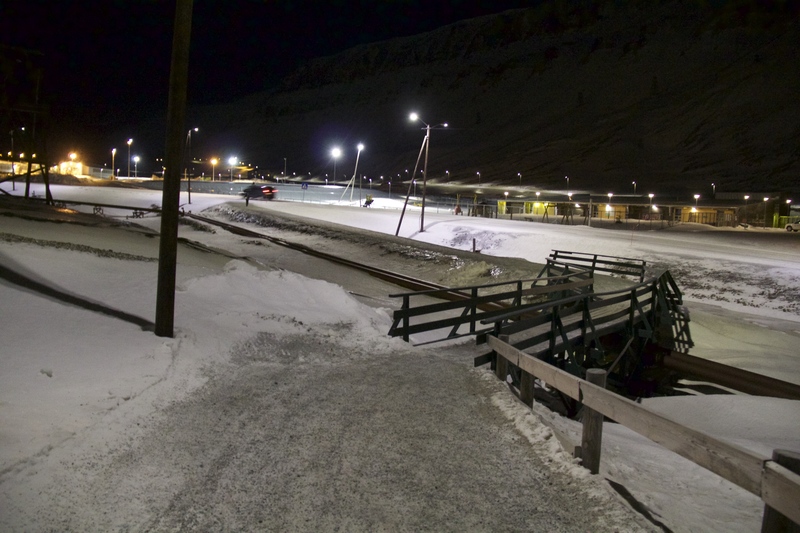 The reason for this was back when Longyearbyen was almost completely a mining town, the mining companies felt the need to regulate their workers and make sure that they were not getting completely inebriated–hence the alcohol card. You might be wondering why wine isn’t monitored, and that’s because that’s what the mining company bosses would drink. Of course they didn’t feel the need to monitor their own alcohol supply. Sarah told me that not too long ago the residents voted on whether or not they wanted to keep the alcohol card, and they overwhelming decided to keep it. Apparently they like being the only place to have an alcohol card and quota. 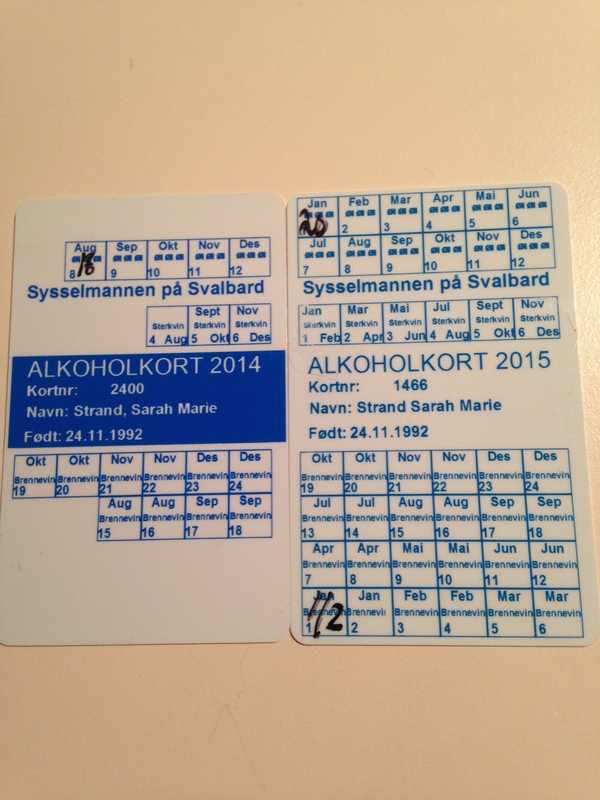 The other funny thing about it is that Sarah told me her alcohol card is pretty much the only evidence she has showing that she’s a resident on Svalbard. Other things to note are polar bears! 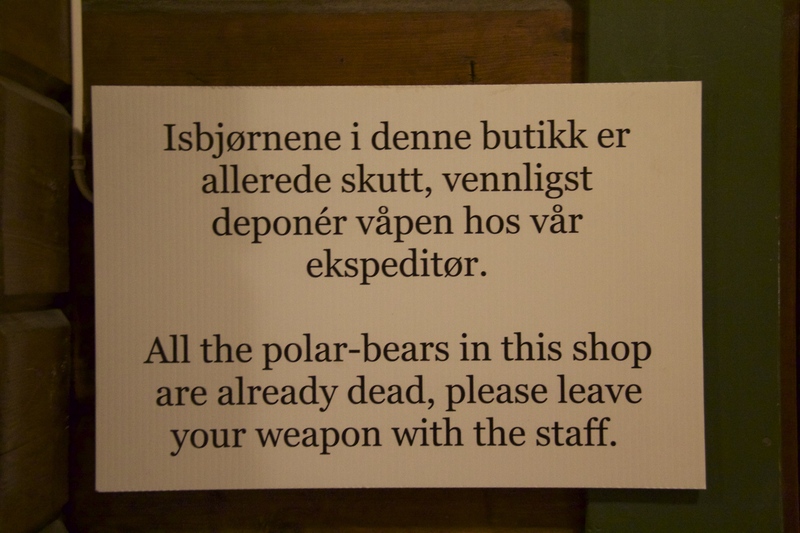 Polar bears are a very real danger in Svalbard and there are number living on the islands. 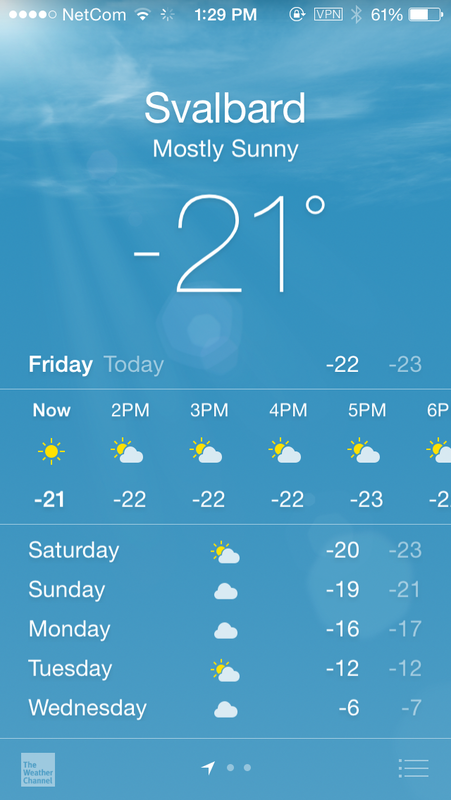 It is legally required that you have adequate polar bear protection when you leave certain areas of town. In practical terms this means that you should be carrying a rifle. I’ve even heard that when the schools let out for recess the teachers form a protective circle around the playing children and that all of the teachers are equipped with rifles. If you encounter a polar bear the proper procedure goes something like this: fire any and all flash and bang flares (the idea is to hopefully scare off the polar bear), at 200 meters you fully prepare your rifle to shoot, and at around 50 meters you are well within your rights to shoot. If you get to the point that you are using your rifle, you are shooting to kill (and it’s estimated that it will take you 2-3 shots to accomplish this). If you do shoot a polar bear you have to explain why to the local government because polar bears are an endangered species. Unfortunately for both us and them polar bears are 1) incredibly smart and 2) see humans as food. 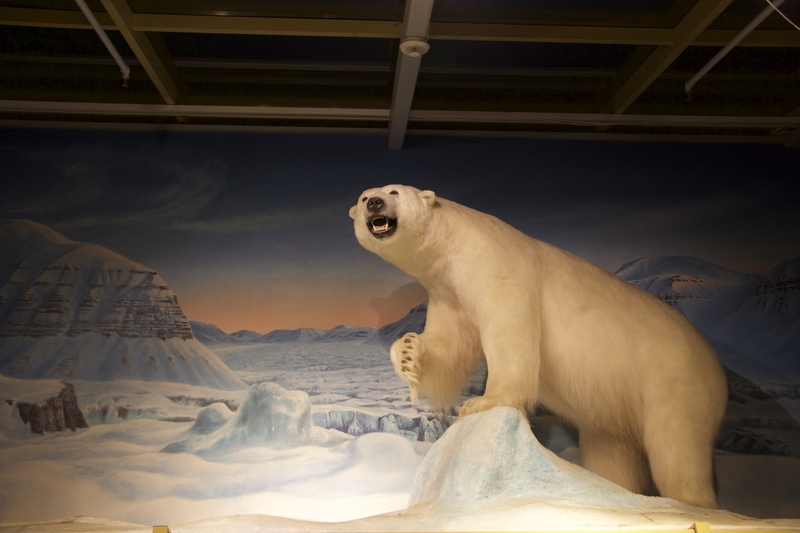 Polar bears will actively stalk humans that they encounter because they see them as food. Additionally, the bears are also getting much smarter when it comes to our defense mechanisms. Polar bears are slowly starting to realize that the flash and bang flares won’t actually harm them, and although the local government has two helicopters that it can use to scare off polar bears (the loud noise really disturbs them) the bears are coming to realize that the helicopters won’t hurt them either. Because of all of this it’s quite common to see people with rifles. Proper rifle etiquette dictates that you leave rifles outside of public buildings (there is usually a coat room or outer room where you can do this). Most people also leave part of the bolt open to show that there is no ammunition in the gun. In the student barracks each room is provided with a safe so that you can safely store your rifle bolt away from your rifle. I was clearly getting quite the education in my walk around town. The next place that we went to was a seal store. 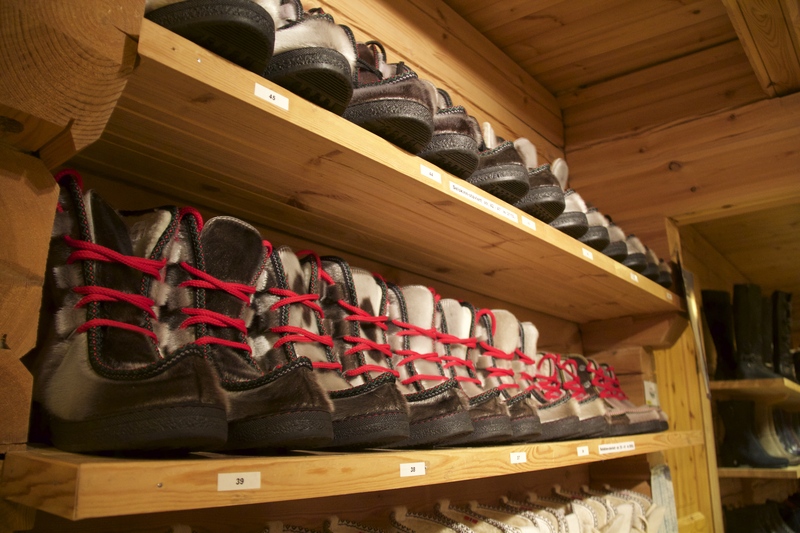 I was somewhat tempted to buy a pair of seal boots (see below) but then Sarah informed me that seal products are banned in the US and that they would be confiscated. There went that dream for warm footwear. I was also excited to see the musk ox below! 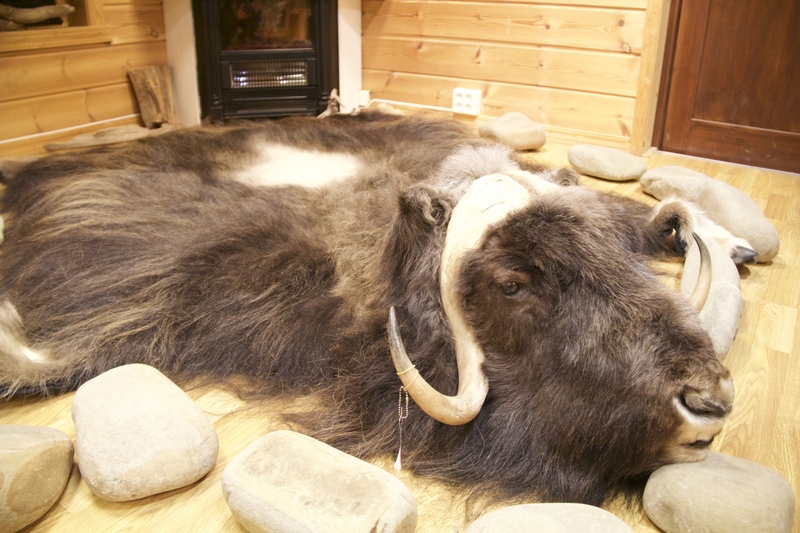 My colleagues have been telling me about musk ox and how it’s quite a dangerous animal (supposedly it’s bad tempered, pointy, and can run quite fast) but I haven’t seen one yet. They’re pretty rare animals, so although this musk ox was a rug I was excited to see one and get a better idea of what one looked like. After that we stopped by a place called Huset to catch the end of the student elections and to grab some cheap beer (only 25 NOK/ 3.28 USD–guys this has got to be a record for beer prices at a Norwegian bar) before finally wandering back home. Before we turned in we took some pictures of the moon and the landscape. Enjoy and sorry for the somewhat haphazard blog post! ← Vitamin D, Where Did You Go?